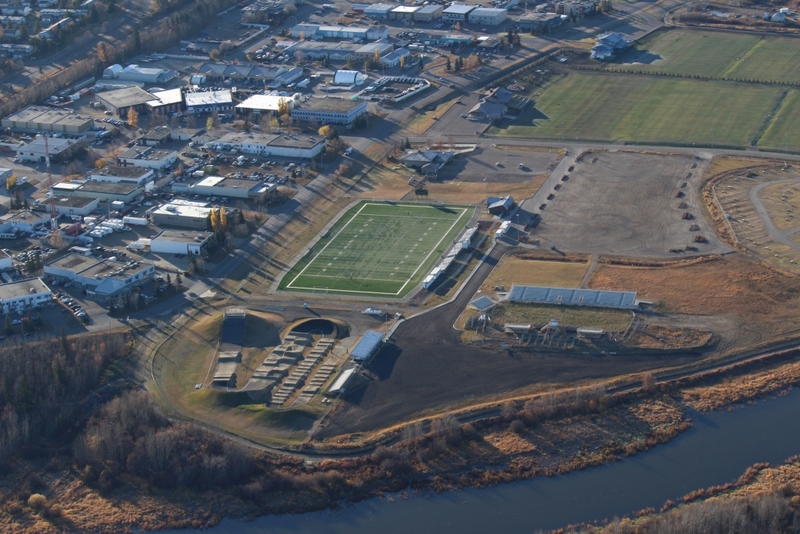 A 10-year project to reclaim and revitalize marginal municipal land—the largest project of its kind in St. Albert’s history—has become an opportunity to enhance a former landfill with sports and recreational facilities, protect the Sturgeon River and to put the City’s natural environment pillar of sustainability into action. Riel Park went from a sewage lagoon cell in the 1950s, to a dry landfill (1970s) to development of recreational facilities in the 1980s-90s. Facing the need for new recreational spaces in the fast-growing community and potential impacts to the river from the historic sewage lagoon and landfill, the City opted to reclose the landfill to more stringent 2005 standards. Through the next decade, revitalization of an underdeveloped brownfield has turned into a 30-hectare recreation park, plus a five-acre restored wetland, Riel Marsh. Along with eight upgraded soccer and rugby fields, there’s an artificial-turf football field, BMX track, and expanded rodeo exhibition grounds. Today, the fields are booked for 10,000 hours a year, with thousands more enjoying the recreation and sport amenities. The $30 million Riel Park Project has been supported by the City and numerous stakeholders, including sport and community organizations. Riel Marsh, adjacent to Big Lake, provides habitat for migrating and nesting birds and is home to beaver, muskrat and waterfowl populations. An interpretive boardwalk through Riel Marsh is now an educational destination for many visitors.